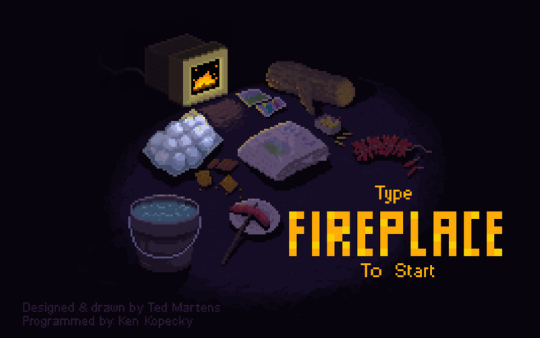 Pixel Fireplace is a cozy, type-controlled app. 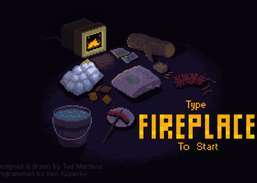 You can type commands to interact with the fire or just sit back and enjoy the warm glow of burning pixels.Try roasting a 'MARSHMALLOW' or throwing in a 'FIRECRACKER'. You can add up to 5 logs at a time and each will burn for 15 minutes before turning into coals and going out.Pixel Fireplace will get free, special updates during the winter months. Enjoy :DCommands to try: LOG, MATCH, MARSHMALLOW, SMORE, EAT, PAPER, PHOTO, FIRECRACKER, HELP, WATER.